Donnie Burns is one of the highest authorities in Latin American dancing. Former 14 times World Professional Latin American Champion and 5 times Grand Slam winner, not to mention British Open Champion and UK Open Champion. 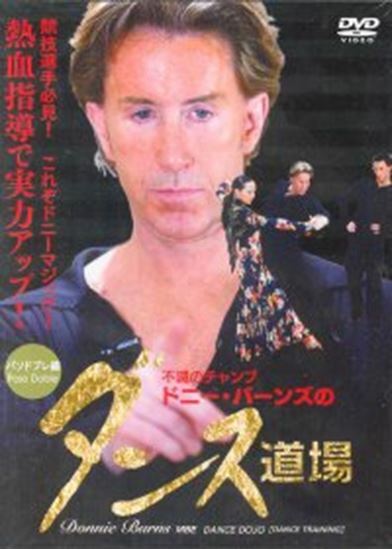 On these DVDs Donnie uses Sergey Sourkov and Agnieszka Melnicka (2005 UK Open Amateur Latin Championships 5th place) to illustrate the most common errors and misunderstandings of the Latin technique which he sees judging competitions of all levels across the world. Sergey and Agnieszka first dance each group with those faults and although you may think it looks very good - Donnie still points out between 4 to 10 things in each group, which he changes to make the whole group look much better and far more competitive.